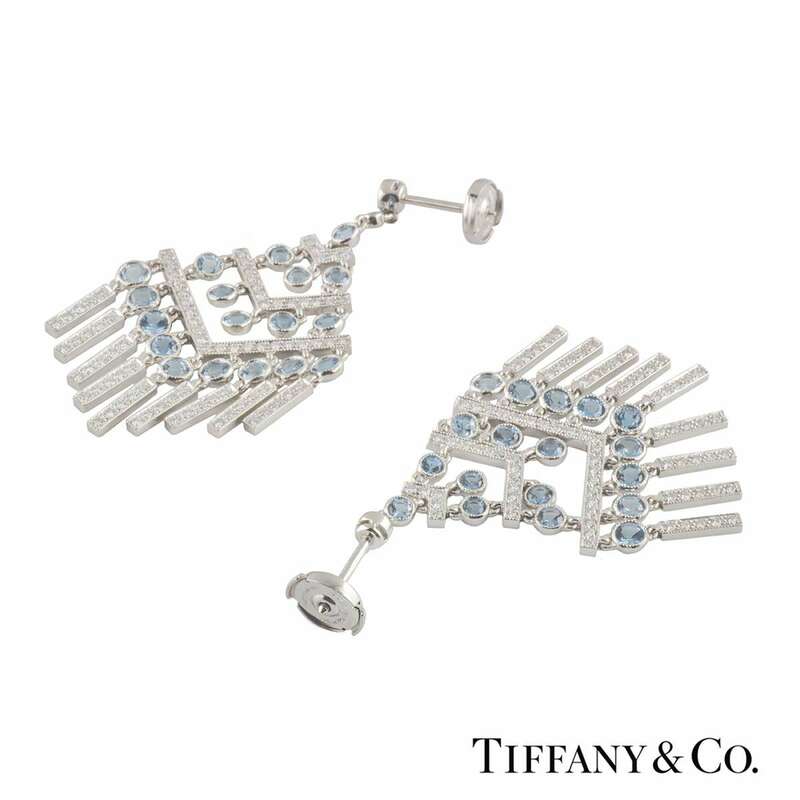 A beautiful pair of platinum diamond and aquamarine Tiffany & Co. chevron earrings from the Jazz collection. 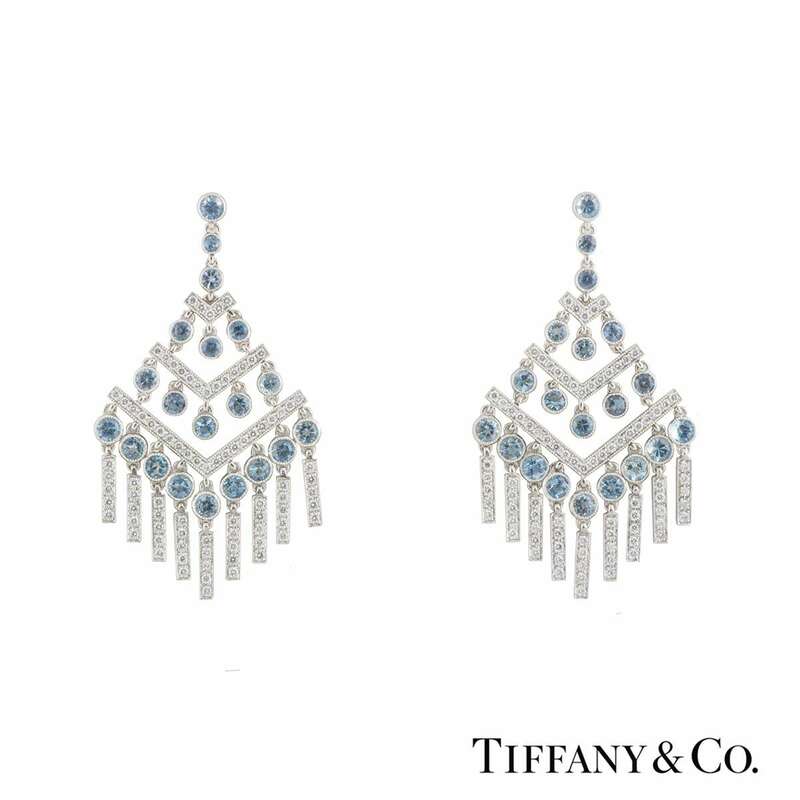 The earrings are comprised of a chandelier style with round brilliant cut diamonds and aquamarines placed alternatively in a vertical direction. 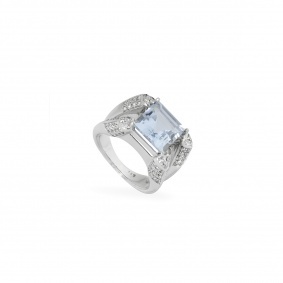 The diamonds have a total weight of 1.05ct, G-J colour ad IF-SI clarity. 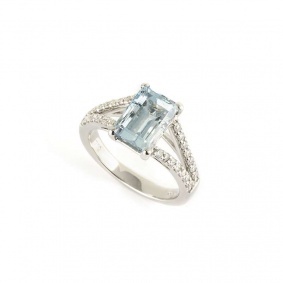 The aquamarines have a total weight of 3.39ct, with a light blue hue throughout. 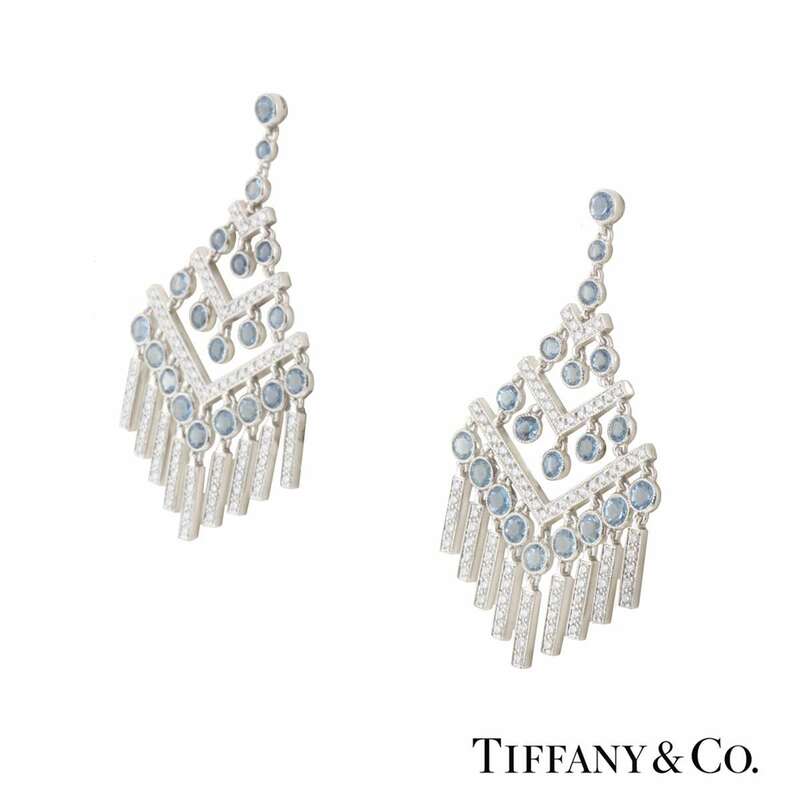 The earrings feature post and alpha back fittings with a gross weight of 17.50 grams. The earrings come complete with a Tiffany & Co. presentation box and Tiffany & Co. valuation papers dated September 2017.